WE HAVE FUN! Fishing is supposed to be fun and we will do whatever it takes to make sure you are having fun and catch fish! 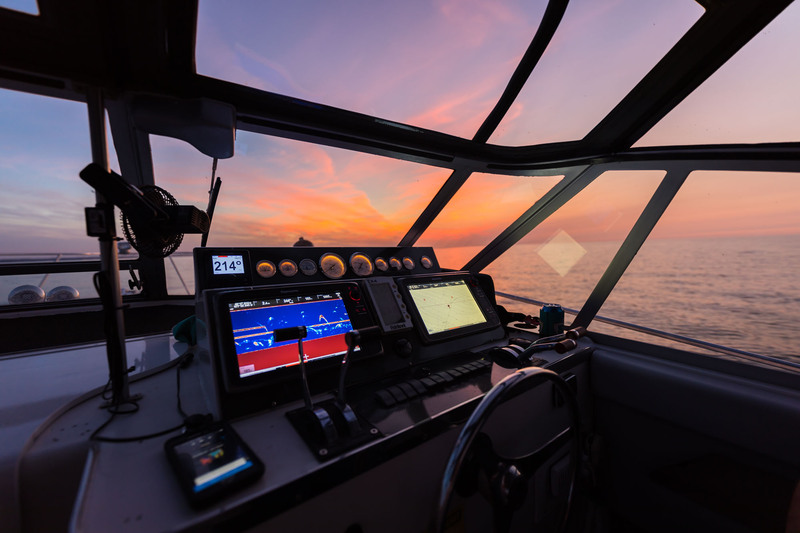 The Bullseye is a 10 meter (33’) Trojan International fishing yacht with a 13’ wide beam. Simply put, The Bullseye is a floating easy chair and is in a league by itself. "RELAXING, EXCITING, AND FUN...ALL IN ONE!" The Bullseye is a proven derby winner and tournament contender. If tournament fishing or LOC Derby fishing is what you are after, you have to come to the right place. This boat has won the GRAND PRIZE for the fall Lake Ontario Counties fishing derby! 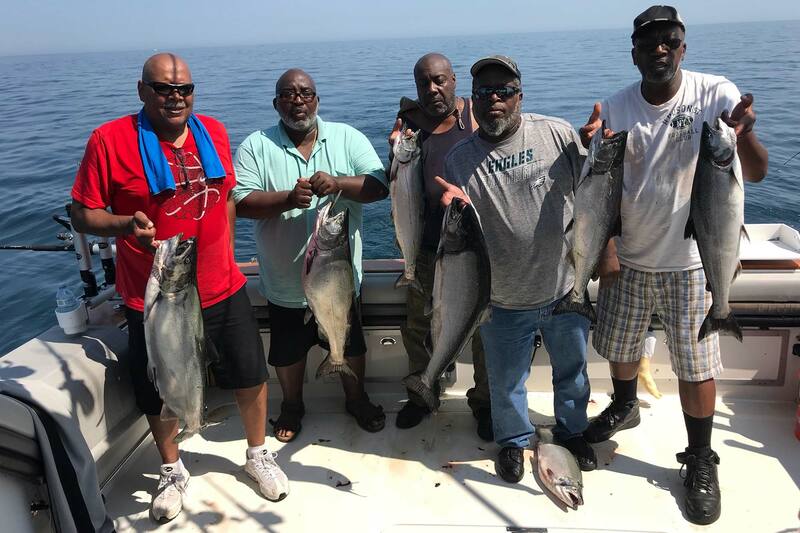 It doesn’t matter if you’re a beginner, novice or a seasoned angler; Bullseye Charter and Guide Service will do whatever it takes to make sure you are comfortable and having fun. Don’t worry about gear! We have the latest and greatest gear possible. Yes, you can enjoy your adult beverages while you relax and fish with us! 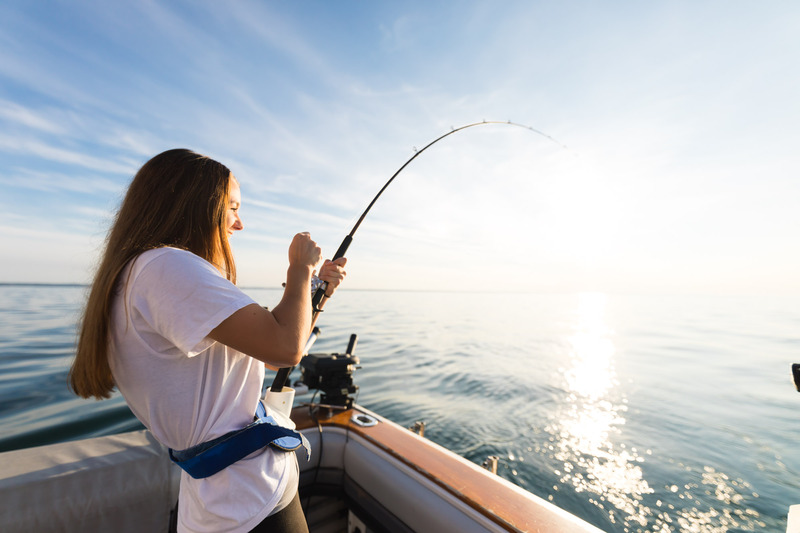 Let us help you enjoy fishing even more!